Let us know what you think about procrastination, why you procrastinate, or even a time when you’ve been burned by a procrastinator. HEY! Have you seen the Women Conquer Business swag?! Hello and welcome to the Women Conquer Business podcast. I’m your host, Jen McFarland. This week we talk about procrastination. Whether you consider procrastination to be your spirit animal or people who procrastinate drive you nuts, I think you’re going to want to listen to this because you’re going to learn a few things. Welcome to the show. I don’t know about you, but I always can find something better to do than that thing that maybe I don’t want to do. That’s what I think of when I think of procrastination. I also think that sometimes I invent things that are more important than I have to do. And I think that you do too because when I hang out on social media, I see things all the time like, “I would rather clean my entire house than do X.” Or, “I organized my underwear drawer by color because I didn’t want to do Z.” And that’s kind of how we think of procrastination, right? So procrastination is derived from the Latin verb procrastinare, which I just love it when it’s like, “procrastinare,” it sounds so much more fancy than procrastinate, procrastination. So procrastinare means to put off until tomorrow. Now, I don’t know about you, but when I procrastinate it’s not usually putting things off until tomorrow. Sometimes it’s putting things off until weeks from now because some of us really think that we thrive better under a tight deadline. Procrastination is also derived from an ancient Greek word akrasia. Also sounds better than procrastination if you ask me. Akrasia means doing something against our better judgment. So that’s a little bit different, right? Putting something off until tomorrow and also doing something against our better judgment. And, honestly, that just didn’t sit well with me. It also says, in all of this research, that perfectionists are often procrastinators. Okay, that sits a little bit better with me because I tend to be a perfectionist, and I tend to think that– I think about a task a lot before I actually get into the doing phase. And sometimes I get burned on that because I spend way too much time thinking about an approach before I do it. But then, when I execute it, I execute it, I think, quicker and more flawlessly because I’ve put that thought into it. But sometimes we have tasks that take longer than we assume that they will. And that’s when you can get burned, right? When you’re working on something right up until the last minute, and if that something that you’re working, like a presentation or some sort of partnership project with another business, it can seem unprofessional or like you don’t know what you’re doing or like you’re disorganized. So having a buffer in there to allow for extra time, if you are a procrastinator or a perfectionist that has has a certain process, will make you sure that you have built in enough time to handle whatever project is really important. And also, I think it’s about not taking on that self-blame. It’s about not believing that it’s the that you are less than just because you like to wait to do something. 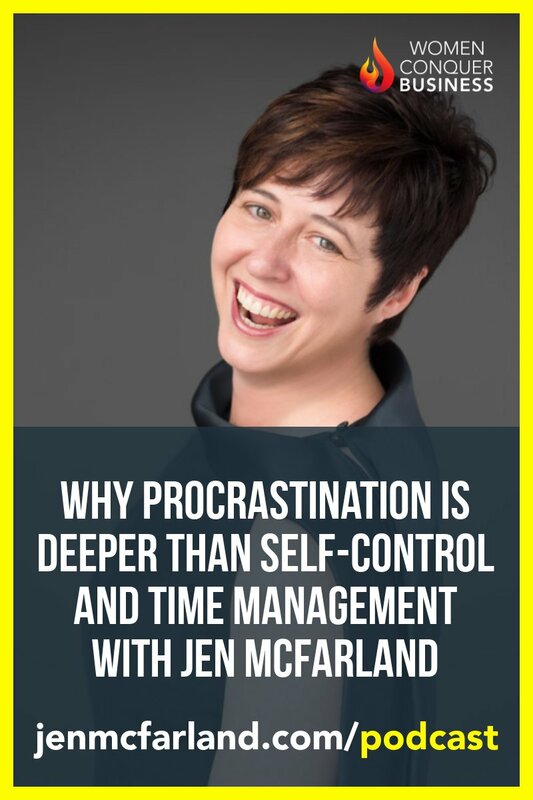 One of the things that– the reasons why it doesn’t sit well with me that procrastination is a lack of self-control is that I think that people always have their reasons for why they want to do something or not do something, and it’s a very interesting paradigm. And so what I like, actually, is the Greek word, which means that we’re doing something against our better judgment. If we are holding off on doing something, I don’t think it always is part of self-control issue. I think that deep down, we have something going on that’s holding us back. And I will tell you that when I was researching this– because I was just curious when something happens and you are thinking about why you wait to do particular tasks. I encourage you to get curious because I get curious and then I learn something more. So I started thinking about that. I read that phrase, doing something against our better judgment, and I thought, “Okay. So that’s something I can dig in on.” And I started thinking about some of the things that I hold off on doing, and I started reading this article which is from The New York Times, and I’ll put the link in the show notes, about putting off things may not be about self-control. It may not be about needing a productivity app, for example. And we often like to have bandaids, and there’s so much talk around being more productive at work and in your business, I think I’ve even had shows talking about productivity, and then I’ve also considered myself someone who doesn’t mind a little bit of procrastination because I like the tight deadline. Throughout my career, I have worked on all kinds of projects with insane deadlines and I’ve always managed to pull a rabbit out of my hat. And I think that I enjoy a little bit of pressure because it’s just something that I’m comfortable with. It’s just something that I have found throughout my career that has been the case. But I think it’s also a choice. I think that procrastination is also a choice. And as I was digging in on learning more about what procrastination is, I started to become aware of how I feel around the times when I’m procrastinating. And so I’m going to ask you if you oftentimes feel the same way too. So as you are organizing your underwear drawer by color and the company you bought the underwear from in avoidance of some task or meeting or plan or business development project, how are you feeling? You are delaying something that you dread by something to get more organized in another way or by doing something in another way that you feel like you’re still being busy but you’re not doing the one thing that you actually need to be doing to move things forward. Do you feel a sense of dread? Do you feel like it is helping or hurting when you put things off? And I think that that is the part that we need to pay attention to rather than self-blaming ourselves for saying that we have no self-control, and when we have to just– everything is bad, and I’ve no control over my life, and I’m going to buy a productivity ad and that’s going to– app, and that’s going to make everything better. What if it was really about uncovering another level of self-awareness. And, in fact, that is what the newest research seems to be about, is how procrastination is a form of self-harm. There’s a book about this called The Procrastination Equation: How to Stop Putting Things Off and Start Getting Things Done (Kindle; Audible; Hardcover; Paperback). And the answer is not to get a productivity app, it’s not to do anything except to become more aware of the fact that productivity occurs because we aren’t managing our negative mood around a task. We’re not managing negative moods around a task. So that’s a lot different. This isn’t about impulse control or about if I just had that list and that thing, right? This is about the ability to have the self-awareness and the emotional intelligence to say, if I wait, I’m not going to feel good about it, and I’m going to worry about it until I get it done. But it also may mean that– and that’s not a time management problem at all. That’s something else. That’s about all of the other moods that you may be having, whether it’s stress or anxiety or frustration or worry. On an earlier episode, we talked about impostor syndrome. I imagine impostor syndrome is another reason why people procrastinate. If I work on that presentation, they’re going to think that I’m a fraud and that really scares me. So why would I want to put out my professional energy on something? So I’m just going to wait until the last minute. And then if I fail, I’ll say that it’s because I waited so long to work on it. That’s something I can work with. I feel like that’s something we can all work with, right? Is managing the emotions that we have for why we procrastinate. I think procrastination may also be a sign that the thing you’re procrastinating on isn’t a good fit for you. I think we need to start honoring that emotion that we’re having so that when we start living in the land of should, right, which is, “I should do this. And I should do that.” And should, should, should. That’s a lot different than deciding that you need to buy a time-management app so you don’t procrastinate on things. This is much deeper work. And I’m in, I don’t know about you, but I’m totally in. If you want to let me know how you feel about it, we have a new feature at jenmcfarland.com/podcast where you can go on and you can use SpeakPipe to record your questions to me and let me know how you’re feeling about that. And I totally invite you to do that because I would like to hear why you procrastinate. Let me know why you procrastinate, how it makes you feel, and what you’ve done, how you have found success around procrastination. Because some of us procrastinate and some of us don’t. So even if you don’t procrastinate, I want to know why because it’s all very interesting to me. So here here’s another article that I found, and it talks about the procrastination action line. And it actually is related to our emotions leading up to procrastination and that moment that we take action. And it’s funny because this is an article that also is more about the impulse control, self-control, time-management-type of thing, right? But they have this graph on here. And once side says pain and the other says time and one side is procrastination, there’s an arc with action line, and then taking action so you kind of can see where it divides. And what they argue is it is more painful to procrastinate than to be doing the work. And I think that’s true, right? Because if you’re working on other things, you always have that little clock going on inside your brain that says, “But I really need to be here. I should be working on X, Y, Z, but I’m going to fascinate myself with polishing the kitchen floor, for example.” So it is about the pain, even if you are the camp of, “Well, I really just need to get more organized with my time,” there’s still a self-awareness component to this where we need to really consider how much pain we’re feeling as we procrastinate versus the pain we feel when we start working on something. So if you’re putting off something, due to fear or maybe you feel like you need to have a deadline, like me, what you’re actually doing is causing yourself a lot of guilt and pain and shame until that exact moment that you start working on it. So here’s a couple of things that this other person– let’s see. Who is this? Oh, yeah. [Katie Milmik?] at the University of Pennsylvania. So this strategy is to make the rewards of taking more action immediate. So the format is you only do something that you love while doing something that you procrastinate on. So for example, only listening to audiobooks or podcasts you love while exercising. Only get a pedicure while processing overdue work emails. That sounds like a good one. Yeah, I could use a good pedicure. So that’s one way of handling it. Another one is to make the consequences of procrastination more immediate. I don’t really like this strategy as much because it strikes me as being a little bit of self-punishment, and I feel like sometimes procrastination is already self-punishment enough. But you could make the consequences more immediate, which means that you would make it more of a problem sooner rather than right before the deadline. It’s more on the idea of, “I’m being lazy and not doing it.” I would say that it’s not that you’re being lazy, it’s more that you’re trying to handle an emotion. 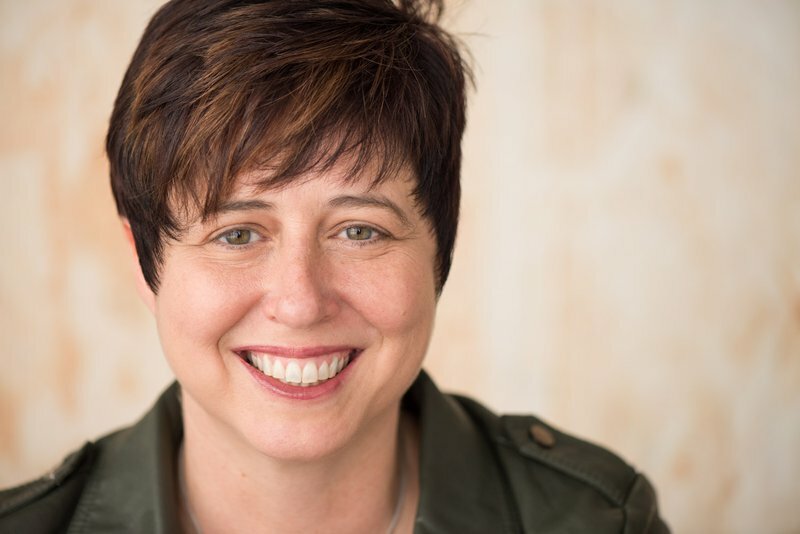 The other thing that’s really interesting about this, and it goes back to the conversation that we had about two or three episodes ago with Kronda Adair where she talks about your future self and your current self and how, when you’re making decisions for your business, you should always consider your future self. And I’m reading through this article, right, and they start talking about your future self. And I’m like, “Yes. This is exactly it.” And so it’s about treating your future self looking at how you want to be treated in the future and treating yourself with that self-compassion today. And I’m like, “That’s amazing.” So that this is something that we can all work with. I think that somewhere in here we just need to work with our own emotions. We need to really consider what the root cause is for the things that we put off. Look at those emotions. Have some self-awareness around it. Show ourselves some compassion. And I really think that we’re going to learn some things from that. And if you don’t procrastinate, I mean, you’re amazing. I love you. And if you do procrastinate, you’re also amazing, and I love you. Just know that procrastination has actually been tied to things like anxiety, depression, heart disease, a lot of negative health consequences. And we can’t just tell ourselves to stop procrastination. And we can’t shame ourselves into stop procrastinating. But we can uncover those emotions and really think about what the root causes are for our procrastination and begin to alter our behavior so that we can live longer and more happy positive lives. And, sidebar, if you give yourself the adequate time on the things that you procrastinate, you might learn to enjoy them more, just like on the action graph, right? Because as soon as you start doing things and you feel the relief, then you feel better. But more than that, if you take more time to do the things that you “need to do” or “should do” then the work product is better than if you slam it all together in half an hour when really you needed a couple of days of consistent work and thinking about it. That’s all I’ve got about procrastination. You can find out more about me at jenmcfarland.com. More about the podcast at jenmcfarland.com/podcast. And we’ll catch in next week. Thanks for listening.